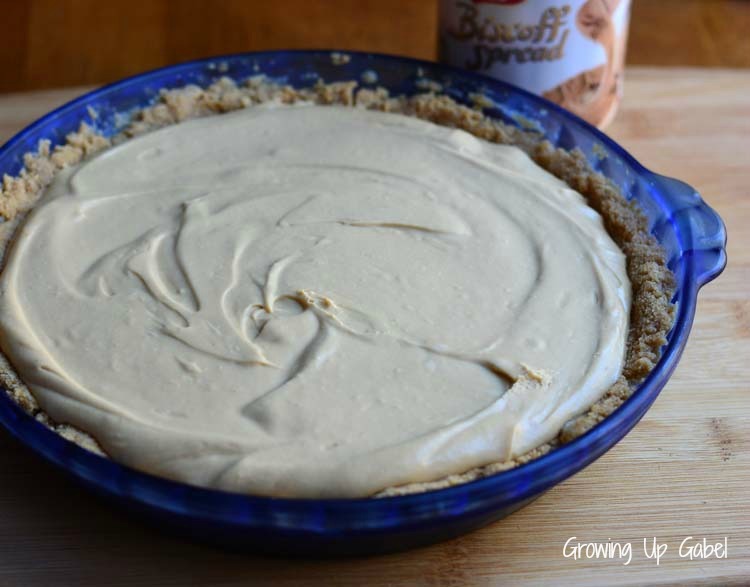 Biscoff no bake pie is a great way to use your favorite Biscoff spread to make a yummy dessert this summer! Biscoff spread is mixed with cream cheese and whipped cream and then chilled in a homemade graham cracker crust. 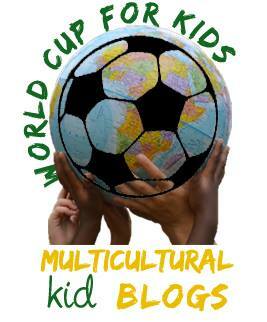 Welcome to the fourth post in the World Cup for Kids Series! We are representing Belgium! So far we've made Belgian S'mores, Liege Belgian Waffles, and Roasted Brussels Sprouts in our Belgian culinary adventures as we root on Belgium in the World Cup. It has been a fun ride, but today Belgium plays the U.S. – and I'm not sure who to root for. Either way, I win, I suppose. I fell in love with Biscoff spread when a friend mentioned being obsessed with it. Of course, I had to try it! Just like the rest of the world, I too fell in love with the sweet spread. So what's to love about it? Biscoff Spread is made from Biscoff Cookies, which are Speculoos cookies. 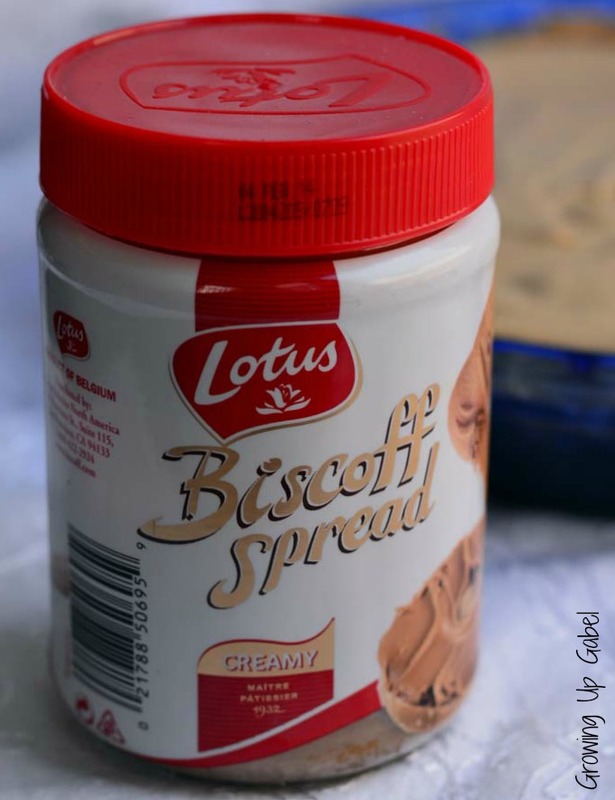 Biscoff was created in 2007 as part of a Belgium culinary show when a contestant converted the popular European cookie, Lotus Specullos, in to a creamy spread. Soon after the show Lotus Bakeries, the maker of the cookie, contacted the contestant and Biscoff Spread was born. 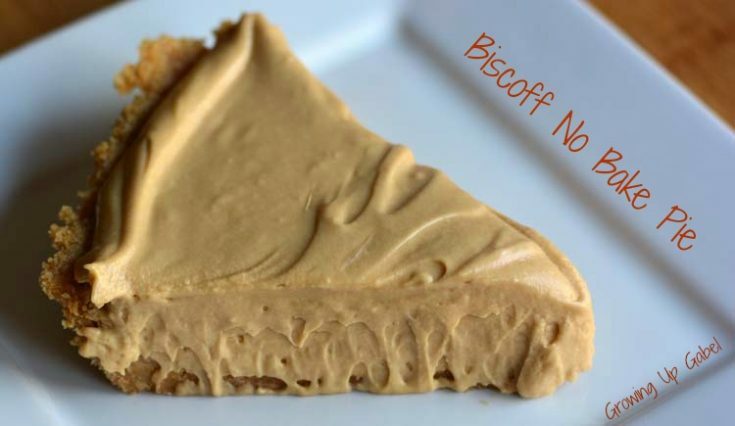 One of my favorite pies ever is my chocolate chip peanut butter pie – I could only imagine how tasty the pie would be with Biscoff spread in it! Oh boy was I right! This is a light, creamy, whipped up Biscoff piled on top of a graham cracker crust for a perfect summer time dessert. Stir together graham cracker crumbs, sugar, butter and cinnamon. Firmly press mixture in to the bottom and up the sides of a 9" pie pan. In the bowl of a stand mixer fitted with a paddle attachment, mix together cream cheese, Biscoff spread, and powdered sugar and vanilla extract using a hand held beater. Remove to a small bowl and set aside. Remove paddle and add whisk attachment to the stand mixer. Beat heavy cream until soft peaks form. Add Biscoff cream cheese mixture to the whipped cream and fold in gently. Just keep gently stirring! It will eventually mix together. Spread filling over cooled crust. Allow to chill for at least 4 hours before serving. Thank you to Biscoff for sponsoring this post! The recipe and opinions are 100% mine! This looks so yummy, Camille!! I love Biscoff, but do not buy it very often, since I can eat the whole jar myself. I know, Joanne! It’s dangerous stuff – but really yummy dangerous stuff. I’m a big big fan of Biscoff spread. This pie looks delicious and I’ll definitely give it a try. Thanks for sharing at Inspire Us Thursday at Organized 31. Your Biscoff Pie looks like a real treat! Thank you so much for sharing your awesome recipe with Full Plate Thursday. Hope you are having a great weekend and come back soon! This sounds wonderful! Thanks for linking up with What’s Cookin’ Wednesday! This sounds great! I can’t get my hands on Biscoff spread here in Costa Rica, but my mother will be visiting soon from the states and I’ll be sure to have her import a jar for me. Will be sharing your post for sure. Pinning now! This looks wonderful! Good luck. Camille – It’s a heavenly pie! I just drooled all over my computer. My family loves Biscoff! I’ve never had Biscoff…but it looks GREAT! Visiting from Hearth and Soul Blog Hop. I LOVE Biscoff, so I’m definitely going to have to try this! It’s just heaven! It’s like creamier, lighter, Biscoff whipped up in to a frenzy! 🙂 Enjoy! Yum! This looks so creamy and delicious! I want to dive right in! Thanks, Nicole! Creamy is a great way to describe it! Ohmigosh, this looks amazing! I love the idea of putting this into a pie and the fact that it’s no-bake is huge plus in this hot summer weather. I’m pinning this to try later. Thank you for sharing. I found you from the Our Sunday Best link party. Hi Christy! Thanks for taking the time to stop by! I hope you get around to making this – it’s delicious! This is dangerously easy to make! I love Biscoff and that creamy filling has my mouth watering. Ha! My husband ran to a friend’s house to borrow a tool and that was all the time it took to make the pie. So easy!